Are you looking for creative ways to lower your energy costs, generate more of your own power, or become less reliant on the grid? 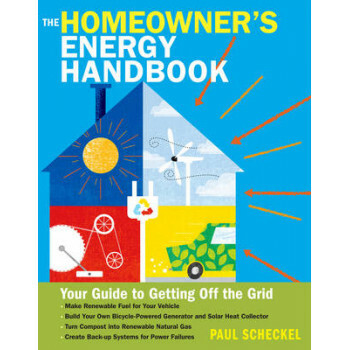 Energy expert Paul Scheckel offers practical solutions for adapting solar, wind, wood gasification, biogas, and micro hydro power systems for home use. Step-by-step instructions show you how to build a wood gasifier, a solar heat collector, a bicycle-powered generator, and other energy-saving equipment; make your own transportation fuels, including ethanol, wood gas methanol, and biodiesel; convert kitchen compost into renewable natural gas; and more. Whether you want to live completely off the grid or just save some money on your fuel bills, this guide has the knowledge and skills you need.